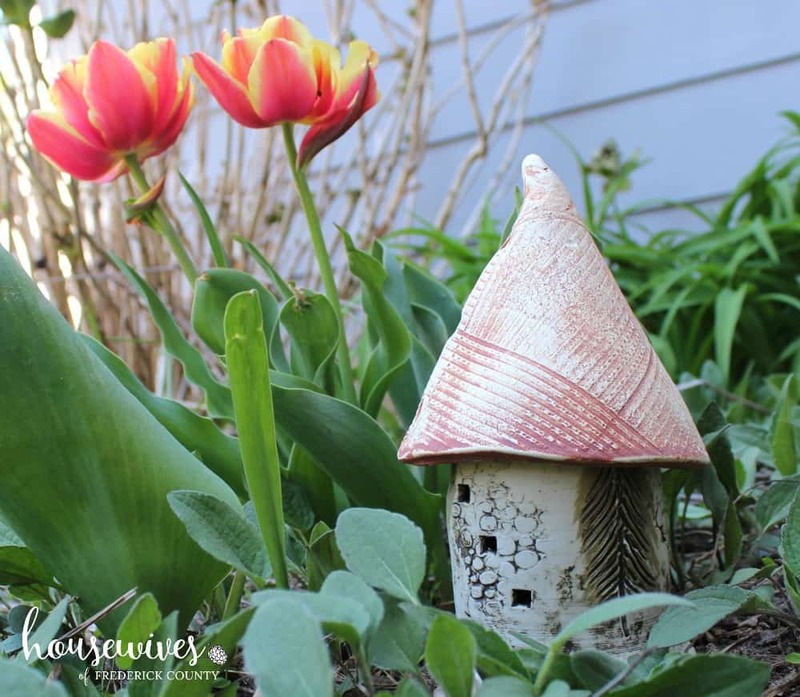 A big thank you to Uncommon Goods for sponsoring this post! As always, my opinions are my own! Mother’s Day. A day each year that we all have the opportunity to honor and acknowledge our own moms, as well as the other mothers in our lives! This is also a day, if you’re a mom yourself, that you get to reflect on motherhood, and hopefully get love and admiration from your own children! I love that Mother’s Day takes place during the spring – a time when nature is blessing us with new life on the ultimate mother – Mother Earth! This year, I will be celebrating Mother’s Day for the 49th time in my life – 16 of those years as a mother myself! Usually, beautiful cards and flowers are exchanged, and nice dinners with families are had. But, THIS year, I’m having an uncommon Mother’s Day! Pam and I were approached by a company called Uncommon Goods by email, asking us if we’d like to try some of their products in exchange for sharing our experience! 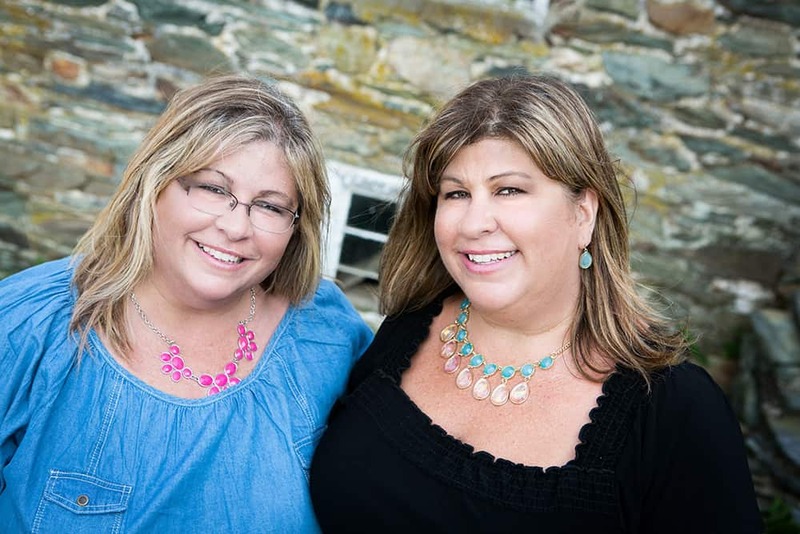 I hadn’t heard of Uncommon Goods, but as soon as I began to peruse their website I knew that they are such a great fit for Housewives of Frederick County to share with our readers! I had SO much fun shopping online for my Uncommon Goods products! Consider them early Mother’s Day gifts to myself! Have you ever bought something that inspired you to change an entire room? Well, two of the three products I got from Uncommon Goods have motivated me to FINALLY change my kitchen decor! 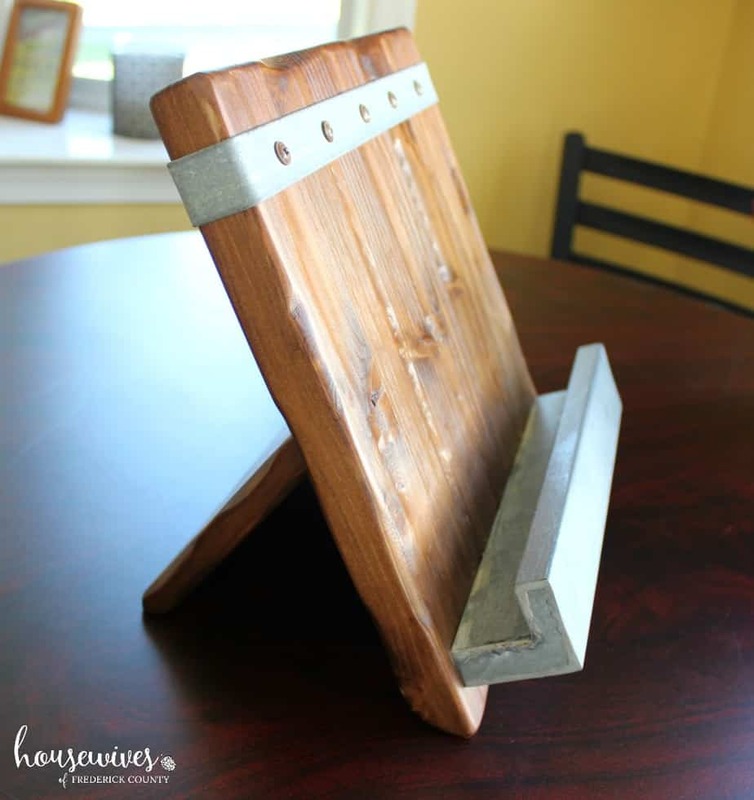 First up is this gorgeous piece – a Reclaimed Wood Cookbook Stand! How unique and beautiful is this? I’ll use it for recipe books, a tablet with a recipe displayed on the screen, or a printed recipe to refer to while I’m cooking! 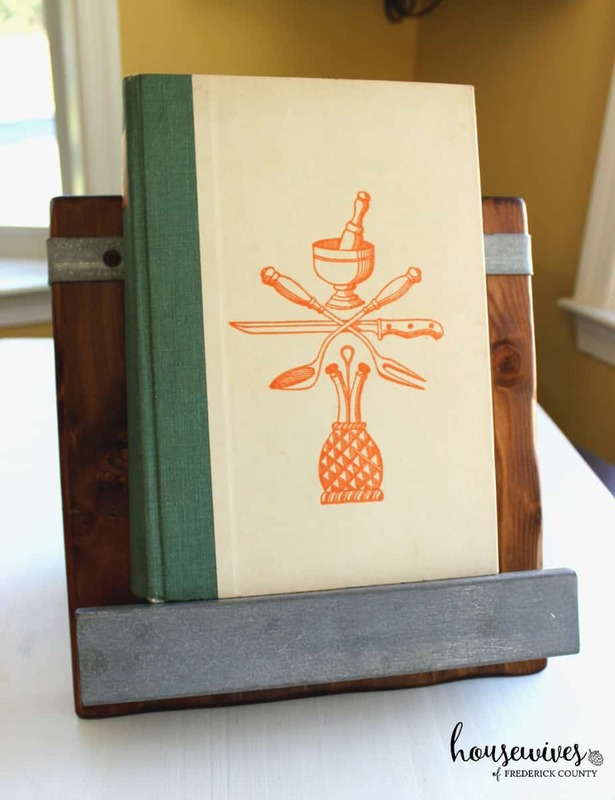 I just love how it looks with this vintage cookbook on it! 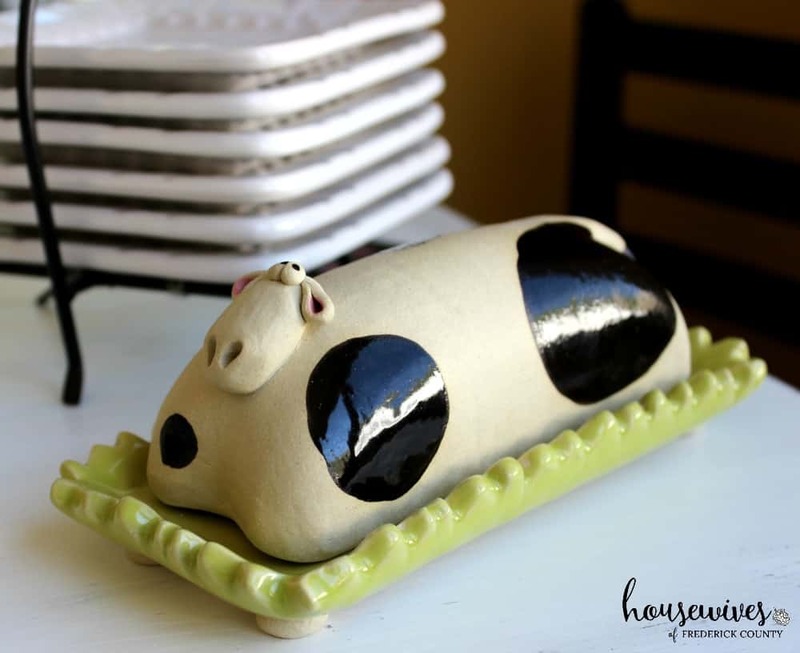 The next new contribution to my soon-to-be-upgraded-kitchen is Marjorie the Cow Butter Dish! Eeeeee! She’s so cute! Handmade from clay too. I adore the individuality of this piece, and she is such a welcome addition to my Farmhouse Decor vision I have for my kitchen! Here’s another picture of her, because…cuteness!!! And, the third product I chose from Uncommon Goods is this LadyBug Castle! This handmade piece is adorned with such detail, meant for the delicate ladybug to be able to fly in and out for protection AND to lay it’s eggs! 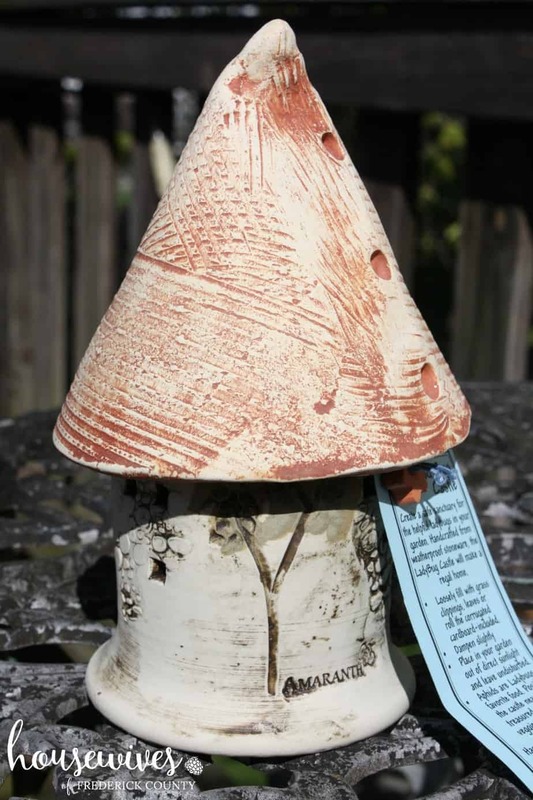 It’s such a sweet addition to your garden or flower bed! If you go to the Uncommon Goods website now, they have 3 sections you’ll want to check out – “Gifts For Mom” here, “Gardening Gifts” here, and “Top 25 Gifts for Mothers” here. It makes it really easy to find the perfect and unique gift for a mom in your life! Happy Mother’s Day AND Happy Shopping! This was really fun reading and checking out all the “finds!” I especially love the “garden sculptures!!!! They’re not cheap but so unique!! I’d be afraid if I bought one, someone would steal it. 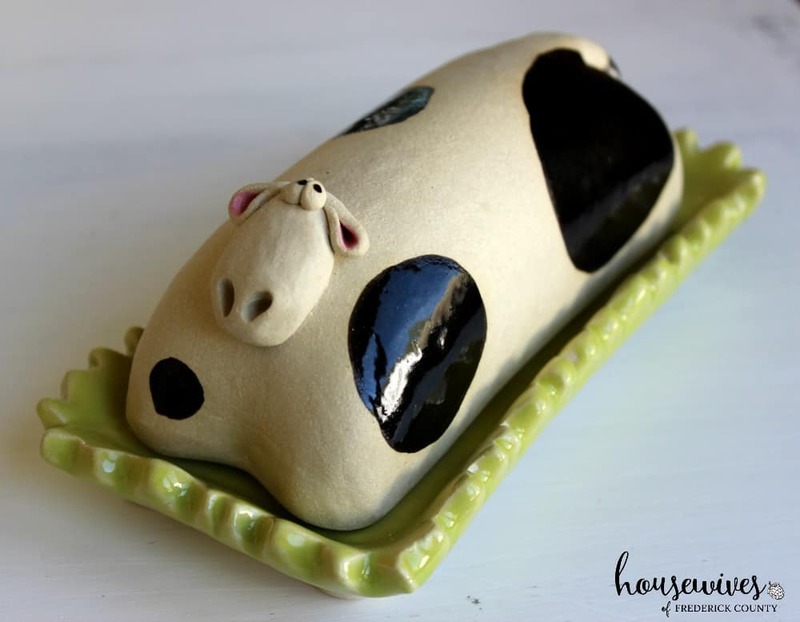 I’d love to have that Marjorie the Cow Butter Dish–adorable! !